Today, i am posting an easy way to recover data from your scratched CD /DVD/ BLU-RAY discs. 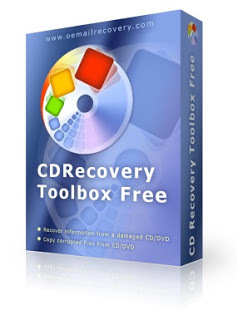 This CD Recovery Toolbox Free software analyze your scratched CD/DVD sector by sector and recover data from these sectors. It will only skip , if it is unable to detect any sector. If it is able to detect any information completely or partially in any sector, it will extract it automatically. It is very simple and easy to use. It is of just 677 KB in size. You can download it from here.